If you wondered why anyone would ever need a 1 gig internet Fiber connection at home, wait till you find out what Google has in store for its network subscribers next. According to reports, Google’s next move for its Fiber internet service will be to introduce an eye-watering 10Gbps connection speed. With only a limited release in Kansas City for now, Google Fiber is already among the fastest web connections available in the world at the moment. If Google’s new plans for an even faster service are realized, the data transfer speeds would be 10x faster than Fiber’s current capabilities, and over 1,000 times faster than the national average internet connection in the United States. 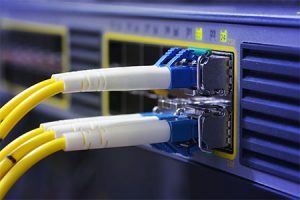 Although nothing is certain about this Fiber update just yet, the plans were announced by a Google executive during the Goldman Sachs Technology and Internet conference on Wednesday according to USA Today. Google CFO Patrick Pichette announced that the company was working on the update, which could become available within the next three years. Whilst this new technology is being developed, Google will likely begin rolling out their internet service to other cities around the country.